People in general use mean and cuss words, isn’t it? Most of us had used these words in one or the other situation. There have been several instances in Bollywood films when we Indians have made the foreigners speak mean words by telling them a wrong meaning. Who can forget the way Ranbir makes that restaurant owner speak “Main Kutte Ka Bacha Hoon” in Tamasha? and there are many more occasions bouncing in my head. 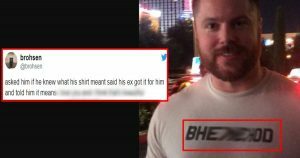 Now, something very similar was done by a girl to his Ex-English Boyfriend who gifted him a T-shirt with “Bh****od” printed in the center. The guy with an extreme level of confidence and innocence wore that T-Shirt in public. This young man was living in blissful ignorance thinking that his favorite t-shirt was a loving gift from his former girlfriend. When he was asked, if he knows the meaning of the word that’s printed on his shirt, you won’t believe what he said. 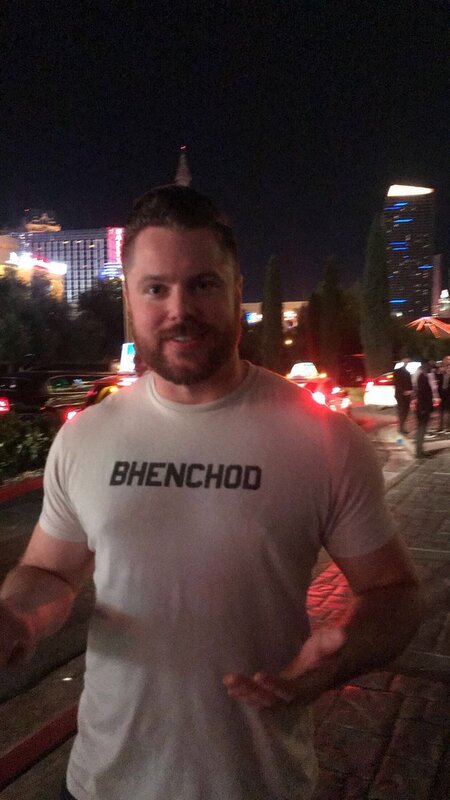 Wearing the white t-shirt with the word ‘bhenchod’ emblazoned across his chest, he hit Las Vegas, believing he was proudly telling the world ‘I love you’ in Punjabi. However, after bumping into a man of Asian heritage, he was swiftly brought down to earth, as he was informed the word means ‘sisterf***er’. Oh, God! We feel so sorry for him. The word, which exists in both Punjabi and Hindi, is used across South East Asia as a swear word and an insult. The tweet soon went viral, having been shared by thousands of amused users, some making Game of Thrones jokes about the incestuous relationships in the Targaryen and Lannister clans.